The 7th edition of the ALCS Student Days took place at the University of Nottingham on 7 and 8 March 2013. 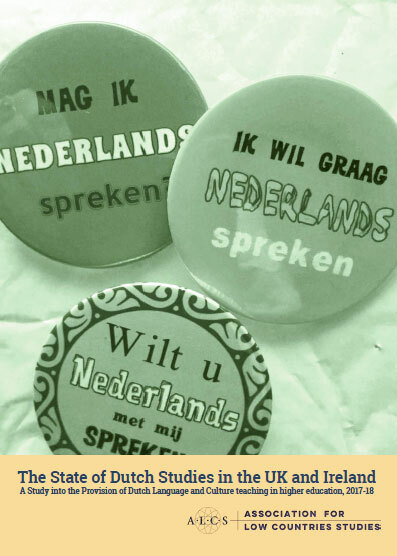 The ALCS organizes the Student Days because we believe that bringing undergraduates together for an exciting and sociable programme around Dutch studies shows that opting for Dutch is fascinating and fun as well as a sound career move. Over 100 students and staff from six UK universities took part in the 7th edition of the ALCS Student Days in spring this year. The University of Nottingham hosted this two-day programme of culture workshops, lectures and career talks. Whoever thinks that Dutch is a small subject would not think so when seeing the speed date session in which students, staff and artists took part. This boisterous start set the tone for three workshops put together by Passionate/Bulkboek. The Flemish writer and performance artist Rebecca Lenaerts took charge of the large group of beginners to put together a contemporary interpretation of The legend of Godiva. Daniël Dee, the poet Laureate of Rotterdam, explored and wrote urban poetry with intermediate students and Bouke Billiet opted for a recasting of the Romeo and Juliet story in his advanced workshop: Shut Up Romeo. All three groups presented their work during the evening session. The second day opened with an address by Mr Geert De Proost, the representative of the Flemish government in the UK and a video message from Her Excellency Laetitia van Assum, the Dutch Ambassador. Next it was time for the academic element of the programme. Dr Liesbeth Minnaard (Leiden), Emmeline Besamusca (Utrecht/Vienna) and Dr John Loughman (Dublin) offered presentations on the poetry of Ramsey Nasr, the representation of history by Geert Mak and 17th century genre paintings from the Low Countries. The intense 24-hour programme ended with two career talks: Andrew Maycroft from Eclipse Translation and Punit Thakor from the global information services company Experian. Both illustrated the wide range of career options available to of language students in general and students of Dutch in particular. The ALCS Student Days were generously sponsored by the Nederlandse Taalunie. We also received support from the Dutch Embassy in London and the Representation of the Flemish Government in the UK. 13.00 – 13.30 Welcome and Opening. Speed date in het Nederlands!